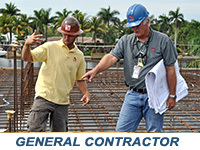 We are a recognized construction company that provides various types of construction services. PB Builders applies a pro-active approach to everything we do. We can turn your project into reality, on time and on budget. Our specialties include Aviation, Commercial and Custom Residential projects. Please review our past projects. We welcome inquires on new projects, we provide services that will meet your requirements. Our team of professionals has been exceeding client expectations for many years and we look forward to an opportunity to exceed yours. PB Builders is a General Contractor who applies a hands-on approach throughout the process. Beginning with the permit process, PB Builders hands-on approach begins immediately, dealing with parallel and unilateral processing of approvals. We provide careful and thorough selection of all subcontractors and suppliers and, we also self perform work during the build phase. This hands on approach provides a timely delivery during the actual build phase and project close-out by closely monitoring all work and document control through-out the entire project. PB Builders is a Design/Builder with wide range of completed projects who assembles and provides qualified team members with proven experience in order to deliver the most cost effective product for clients. 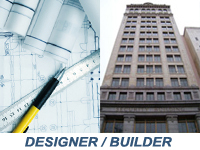 PB Builders is a construction manager who closely monitors design and implementation of projects and offers Value Engineering recommendations to clients as a means to maintaining budgets and schedules.